Edited by Puneet Kaur Kochhar . 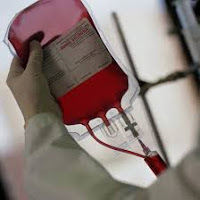 Blood transfusions form an integral part of clinical (medical and surgical) practice worldwide. The first well- documented blood transfusion experiment was carried out by the physician Richard Lower (who transfused blood from the cervical artery of a dog into the jugular vein of another dog) in 1667 in Oxford. The earliest experiments of transfusions in human beings were reported from Paris in the same year. Since then, there has been considerable progress in blood transfusion science. Over a century ago, studies of Karl Landsteiner (who described the ABO blood group system), formed the basis of modern hematology. Subsequently, over 250 red cell antigens have been discovered. Despite all this sophisticated knowledge, many aspects of transfusion science still remain an enigma. Over the last few decades, the knowledge of this immensely complicated blood transfusion science has grown tremendously, and transfusion science has become an increasingly important domain. Simultaneously, we have seen a significant increase in publications, reviews, and textbooks covering scientific knowledge in the subject. In the recent years, the advanced developments in technology have provided a vast range of sophisticated specialist services (both diagnostic and therapeutic) in modern blood banks. Thus, transfusion medicine has now become a specialist area, encompassing other important fields of medicine such as hematology, immunology, microbiology, etc. This book is not an exhaustive textbook on the subject of blood transfusion; instead it discusses various aspects of transfusion medicine in clinical practice (including role of ABO blood group system, transfusion practices in various systemic surgeries such as orthopedics, cardiac surgery, obstetrics, etc., and alternatives available to reduce allogenic blood transfusions, brief discussion of transfusion related infections and lastly the role of transfusion in immunomodulation) in different chapters. Thus, this book is an endeavor to provide the readers a comprehensive text on the subject of transfusion medicine in clinical practice. I am thankful to my colleagues who have contributed to this book and to the publishing process manager, Ms. Irena Voric, who has worked for the compilation of this book with utmost dedication.